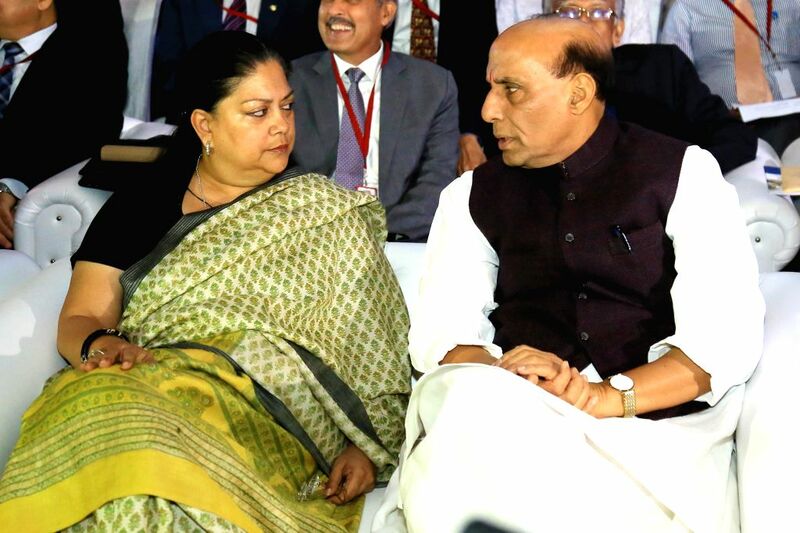 Kolkata: Union Home Minister Rajnath Singh and Rajasthan Chief Minister Vasundhara Raje during the `Counter Terrorism Conference 2015` in Jaipur, on March 19, 2015. 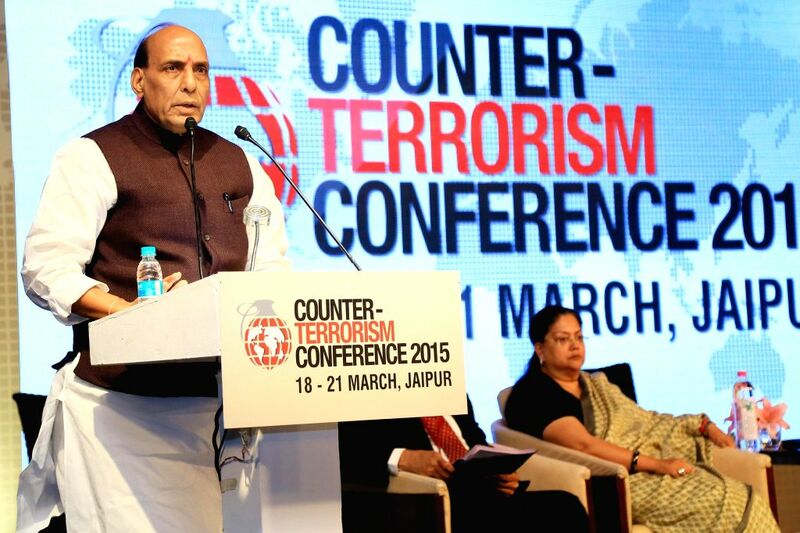 Union Home Minister Rajnath Singh addresses during the `Counter Terrorism Conference 2015` in Jaipur, on March 19, 2015. Also seen Rajasthan Chief Minister Vasundhara Raje.